BMC Racing Prodigy & Australian National Road Champion: What’s Next for Miles Scotson? 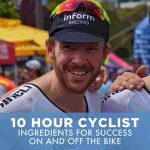 If you didn’t know Miles Scotson before the 2017 Australian National Road Race Championships, you should know him by now. What a way to be introduced! With less than 2 kilometres to the finish line – on an unforgiving course in brutally hot conditions – Miles put his track and time trial skills on show in his shiny new BMC kit, ripping past the remnants of the 130 starters. It was a demonstration of rare human strength and an indication that Miles Scotson will be a name that provokes excitement and anticipation for years to come. As we prepare ourselves for what could be a 15+ year career in the pro peloton, cheering on Miles Scotson from the sidelines, what’s next for this BMC Racing prodigy? We recently sat down with Miles to understand what’s changed since the Nationals, his first experiences from riding in the pro peloton, and what lies ahead. 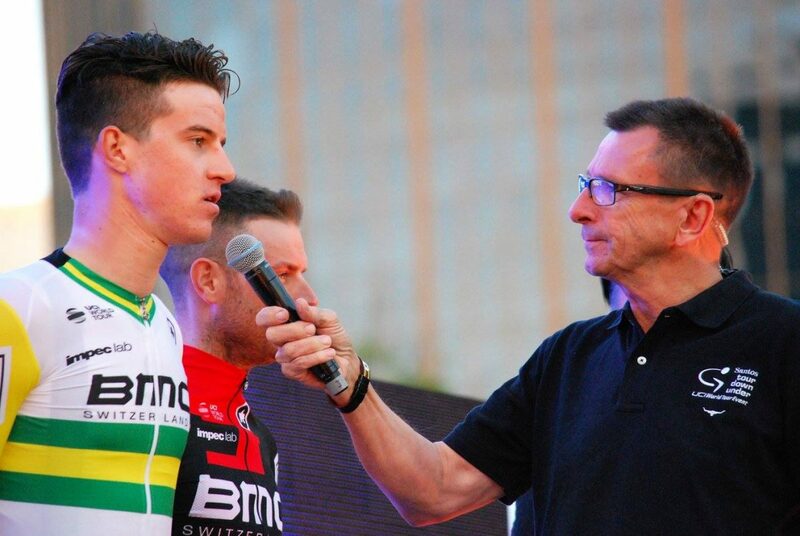 Miles explains the change and impact of winning the Australian National road title. There’s been a lot more focus and attention on him, which is taking a bit of getting used to. Only weeks prior to the National titles Miles was picked up by BMC racing. Miles discusses the importance of Allan Peiper positioning him as a potential target for BMC. Allan Peiper is currently the Sporting Manager at BMC and a former professional cyclist. The first time Miles spoke with BMC was in 2015 after he won the U23 National Road Race and Time Trial. Following these impressive wins, Allan Peiper kept a close eye on Miles. After an impressive start to the 2015 season Miles had a bad year of crashes. It was the first time in his career that he felt like his progress was hampered. Allan tried to help Miles in 2016 by getting him into a Pro Continental team to help create the pathway to pro. Miles rode for Illuminate and Wanty during 2016, both Pro Continental teams. While Miles didn’t get the results he was hoping for, he impressed many in the supporting roles he played for those teams. Miles discusses the validation he received from the win at the Nationals: “It was a feeling of relief given all the people who have put faith in me”. Miles doesn’t really have a specific role within BMC right now. They’re ultimately trying to develop Miles with a view to race in the Classics (at a high level) in the years to come. Trying to make the BMC team time trial squad is a major goal for Miles in 2017. The transition to working for a team and playing the domestique role has been a learning curve for Miles. Typically he’s used to being in the thick of the race, but as a ‘neo pro’ (first year pro) his role will quite often be in support of lead riders. Learning to take on that responsibility and sacrificing his own position in the race will take some adjusting to. Not losing the ability to race for yourself is key when you’re developing and playing the domestique role. It’s important not to get locked in to that mindset. Miles talks through a stage at the Tour Down Under where he did a lot of work up the front of the race (Stage 3 – Victor Harbor). Riding for Richie Porte, he was working up the front pulling turns at roughly 300-350 watts together with another teammate. With about 50 to 60 kilometres to go, other teams (with sprinters who could take out the win) came up to help, while picking up the pace. Miles finished the stage, but ultimately paid for the large effort two days later, at Willunga Hill. Asking Miles about his biggest lesson from his first two races with BMC as a team contributor, he talks to “patience” as the biggest lesson. Miles describes a scenario where he had to drop back and help Rowan Dennis get back to the bunch following a mechanical issue. Miles, keen to help, describes putting in too much effort to get Rowan back to the bunch. Not that Rowan couldn’t handle the pace, but he wanted to conserve before the Paracombe climb. Miles was eager to impress, but in doing so drove a pace that wasn’t necessarily required to bring Rowan back to the bunch. Taking a step back in time, we ask Miles about how he got into cycling and the journey to the pro peloton. Miles started competitive cycling in BMX racing at the age of six. Miles talks about how the BMX competitiveness was intense from a very a young age. He describes races with over 100 riders and having to fight with riders over starts on the gate. That is where he learnt his competitiveness. Miles first rode the velodrome with the Nationals BMX coach as they were testing BMX riders as track sprinters. Miles was then invited to the SASI (South Australian Sports Institute) talent search. The Bobridge family moved in next door to Miles when he was growing up, although he was still focused on BMX at the time. Jack Bobridge was the under 19 Champion at the time. Miles got intrigued watching Jack growing up. When Jack got back from winning the under 23 Australian time trial championships at the age of 20, he signed for Garmin. This proved to be a lot of inspiration for Miles as a young kid. Jack was always a very aggressive attacking rider. Miles got a lot of his inspiration from this “have a crack” mentality. From a young age Miles had his eyes set on the Australian team pursuit, rather than road cycling. However over time Miles became aware that his body was well suited for the road, yet he always had to work for the track. Through this recognition Miles and his coach decided to focus on road. He then went on to win the U23 time trial and Road National Championships. That was a moment when Miles recognised he had the potential to go pro! Miles reflects on 2015 as a bit of a roller coaster. It was the year he had his first big results but then it turned out to be the biggest stall in his career. He nursed injuries for the vast majority of the year, returning to Australia with a poor mindset, refusing to train for a period of time. Missing the Rio Olympic team was a real low point. It was the only time he ever questioned if he wanted to be a pro cyclist. Miles talks about missing the Rio Olympics (due to his injury) but the silver lining of not making it meant that he pushed on and trained hard. This resulted in a pro protract at BMC and him winning the Nationals twelve month later. Miles is looking at 2017 as an opportunity to ride hard for the team and potentially make the team time trial event at the World Championships.